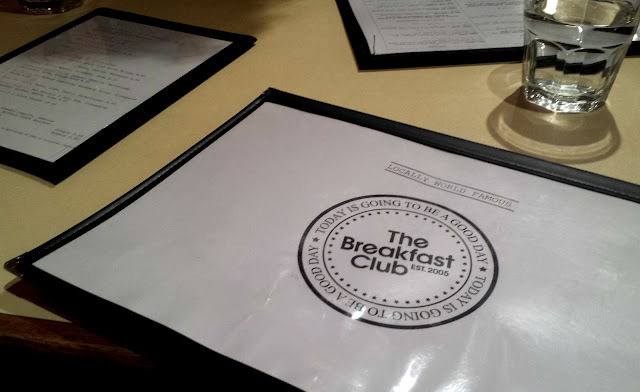 confession time: i have lived in london for five years, but i have never eaten at the breakfast club. 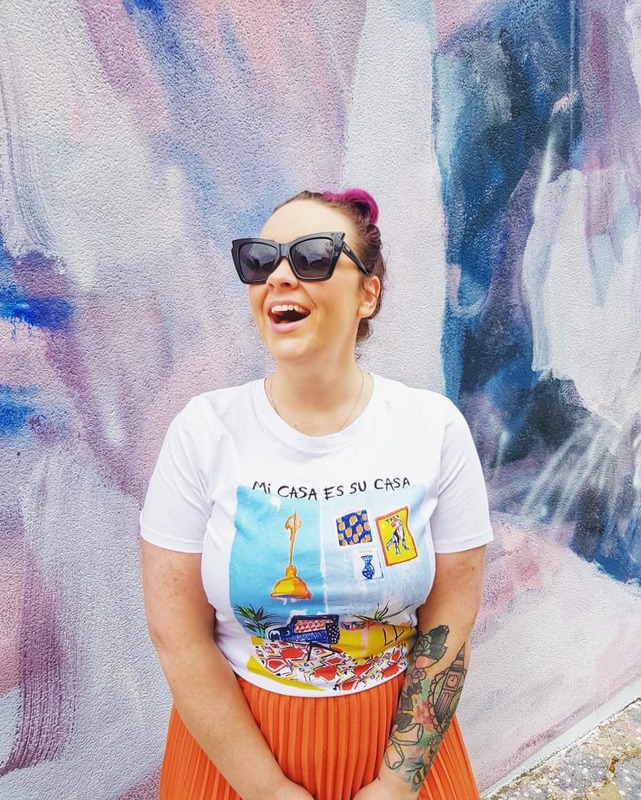 i have ~been to the shoreditch branch once - for coffee, only when desperate times called for desperate measures (yes, there was a line), but i have never ~eaten there. i know, it's like, part of the london hipster initiation ritual, but then again: i'm not a hipster, so, there's that (clearly my hair isn't ironic). 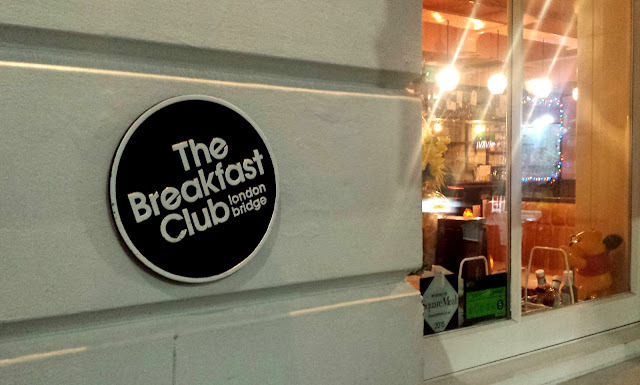 so when i was asked recently if i knew of a great eatery close to citizenM bankside that visitors to london would find super cool yet totally affordable, i thought instantly of the breakfast club in london bridge. this is based on nothing more than the incessant influx of reviews, instagrams, and life goals that pour out of the restaurant chain on a daily basis, and nothing less than my innate desire to eat pancakes at any time of day. obviously. so on monday night, after my stupidly busy day off and charlie's first day doing her civil duty at the old bailey, we braved the wind and rain and headed into the chain's london bridge restaurant to see what all the fuss was about. at just before 5pm we managed to not only waltz into the restaurant out of the cold, with not a line to be seen, but we also managed to have our pick of the comfortable booths in the venue too. 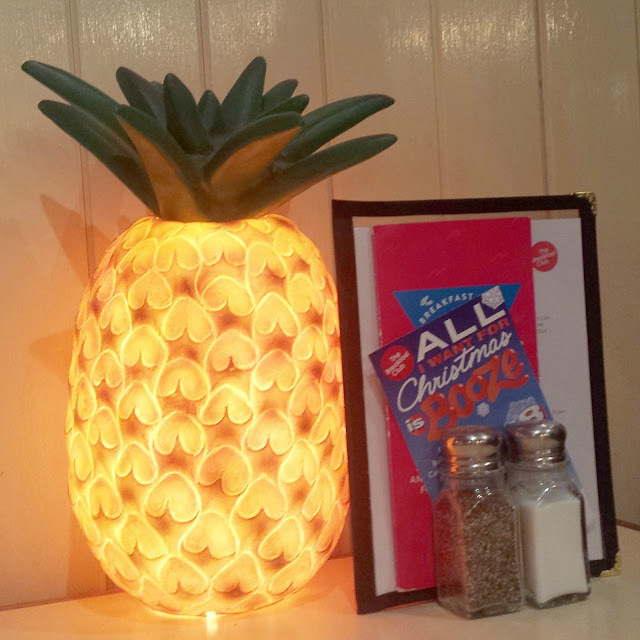 naturally, we chose the one will the absolute ~best table lamp in town, and the weird, kitschy shrine to all things 90s. 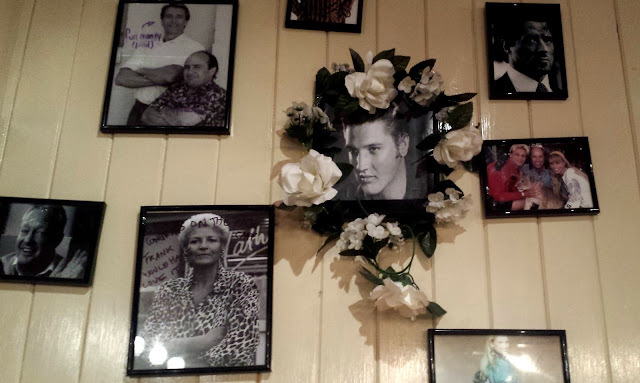 and elvis. because: the breakfast club. seeing that happy hour is obviously a thing after a long day-off and day-one of jury duty, we perused the boozy menu first, because: priorities. with the cocktail menu boasting five pound specials between 5 and 8, the choice seemed pretty obvious; for me: a rosemary and gin (bombay sapphire, rosemary syrup, pineapple juice), and for her: a neon orange aperol spritz (see: italy). because sometimes you just need a neon orange beverage to feel normal again. am i right ladies? drinks in front of us, it was time to decide on the food. despite my better judgement, and knowledge that the breakfast club's pancakes are some of the fluffiest in the world, i opted for a "real" meal instead, and went for "the pink flamingo" burger - with a beef patty, candied bacon, caramelised pineapple (no thank you), and melted cheese - instead. and i'd hate to say i did that because it's called the pink flamingo, but i am almost definitely positive that that's ~exactly why i chose that. 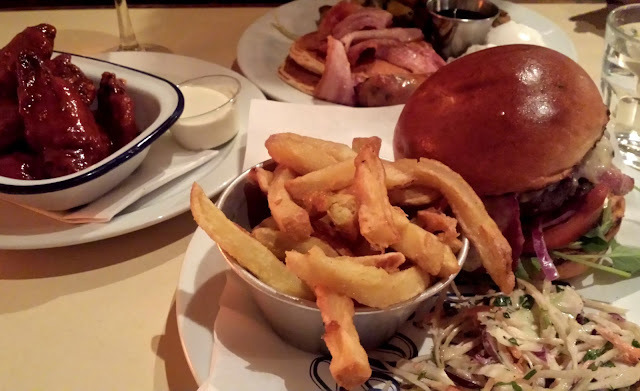 the burger came served in a toasted brioche bun with lettuce, beef tomato, red onion (also no thanks), pickles (nope), mustard, skin-on chips, aaaand slaw. all of the things, for one low-low price of not-even twelve pounds. i'm going to go ahead and call that a bargain as most burger joints will charge you about a tenner for a standard burger, then add on the extras. not here folks. not here. i honestly don't recall what charlie had, but i can guaruntee you that it was not as good as my meal. my meal that i was actually unable to finish because of how big a plate of food it was. oh, did i mention the side of about ten buffalo wings (£7) we ordered as well? there was a lot of food ok, and i wasn't able to finish my main, no matter how much i pulled it apart, or how small i cut up the burger. there was just a ~lot of food. we did a disservice to our own bodies. once the waitresses got sick of us picking at our food, we asked for the bill; for four cocktails, two mains and one side of wings, we still had change from fifty quid - which was a shock to me. when i go out for dinner in london, i usually prepare my purse for a £30 spend - including a glass of wine and service. we'd both had two drinks, a main, and shared a starter, and it had come in ~way under that, which i count as a win in my book! I had pancakes! With bacon and poached eggs and potatoes and sausages and MAPLE SYRUP. And I didn't share it with you because it didn't even cross my mind; I just wanted it in my face.